Bird strikes make for dramatic photos. And the larger the bird, the greater the drama. 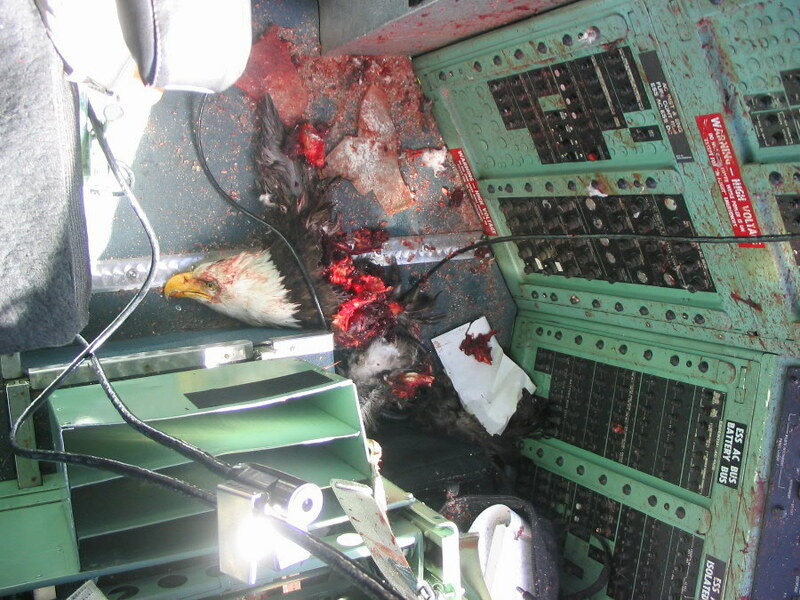 Here’s the aftermath of a right-of-way argument between an Air National Guard C-130 and an eagle. As usual, the bird came out on the losing end. 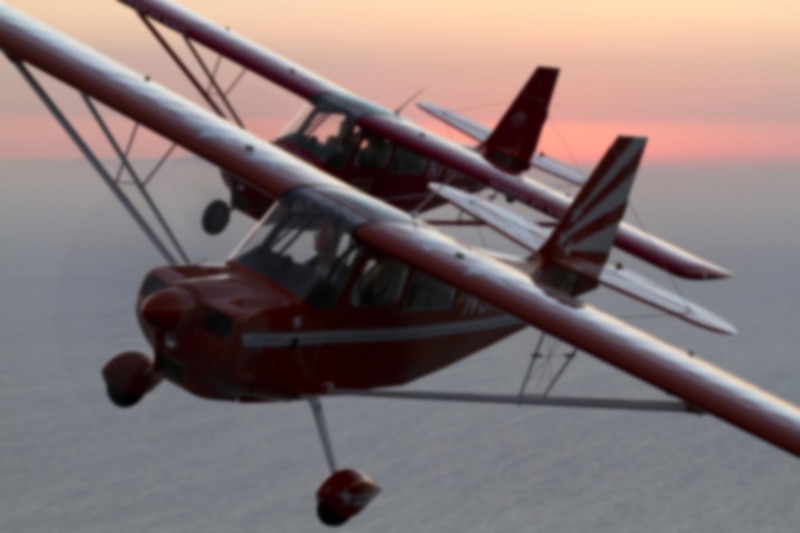 It looks like the pilot almost did, too. Bulls-eye! The windshield may be designed to take a significant hit, but this access panel probably wasn’t. 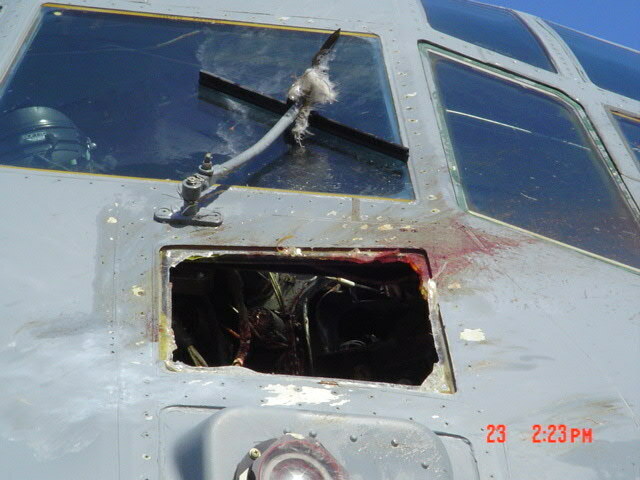 This downward-facing shot of the C-130’s cockpit floor reveals a stowaway — a very messy one at that. 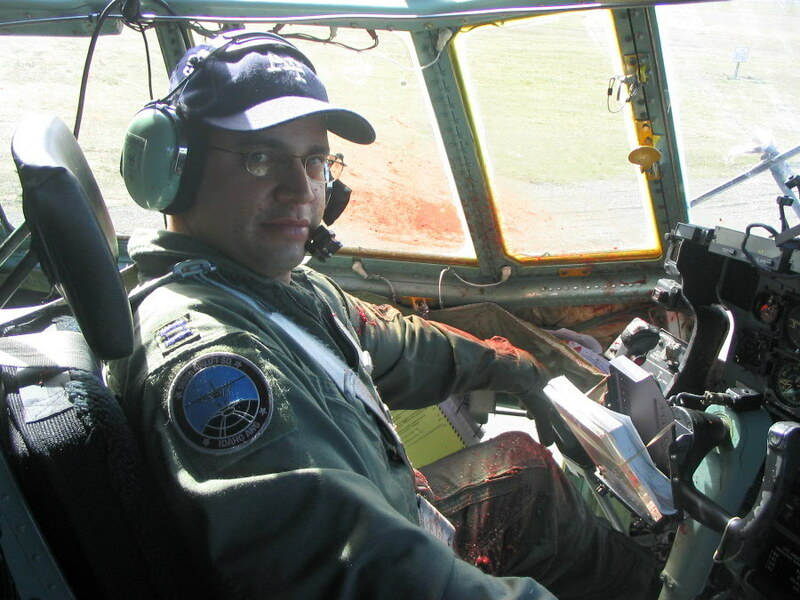 I’m not sure if the pilot is stunned by what happened, happy to be alive, annoyed at being photographed in such a state… or possibly all three. note to self not to check this site with breakfast in hand. Yeah, sorry about that… should have notated it as NSFB (not safe for breakfast). Sonuva… I was eating breakfast right now, too! Um… that is SO fake. I received the very same eagle statue when I joined the Eagle’s Club on the Hour of Power. Are you saying Rev. Schueler was a stow-away aboard this flight? A clear violation of the Endangered Species Act! Wait…what KIND of eagle?